This is an amazing vegetarian side dish. Feel free to add a small amount of turkey bacon for added flavor if you wish. Clean and trim Brussels sprouts. Cut any very large heads in half through the core. Tip: Save the outer leaves that fall off and bake those along with the rest of the sprouts, they get extra crispy and are delicious! 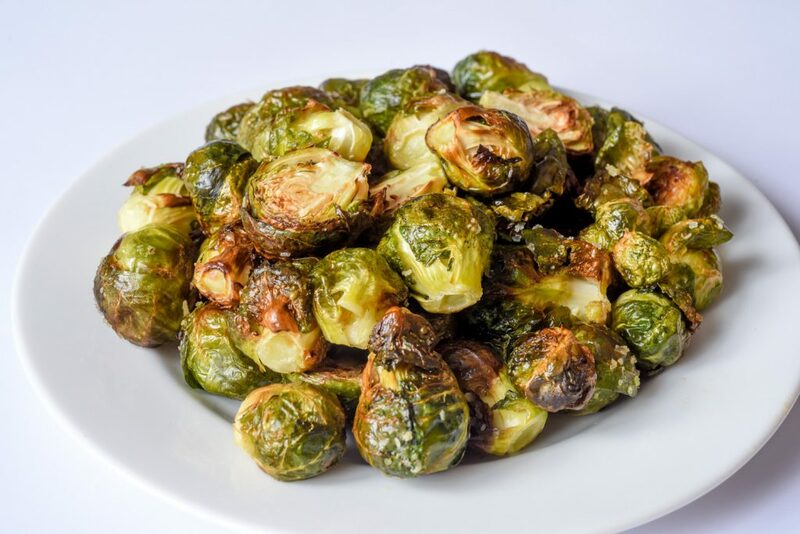 Place the Brussels sprouts in a large bowl and drizzle with olive oil, lemon juice, kosher salt and pepper. Toss to evenly coat. Pour the Brussels sprouts onto a large sheet pan in a single layer. If you are including the turkey bacon, evenly sprinkle the cooked bacon pieces over the Brussels sprouts. Roast in the oven for 20 to 30 minutes, stirring halfway through the cooking time, until lightly browned.